Nissan's huge success in the family car market with its Qashqai crossover saw it introduce the smaller Juke as an alternative to conventional superminis. And surprise, surprise Nissan has hit on a winning formula again. More divisive in its looks than its bigger relation, the Juke is still a funky looking mini-crossover that has created a whole new market segment. 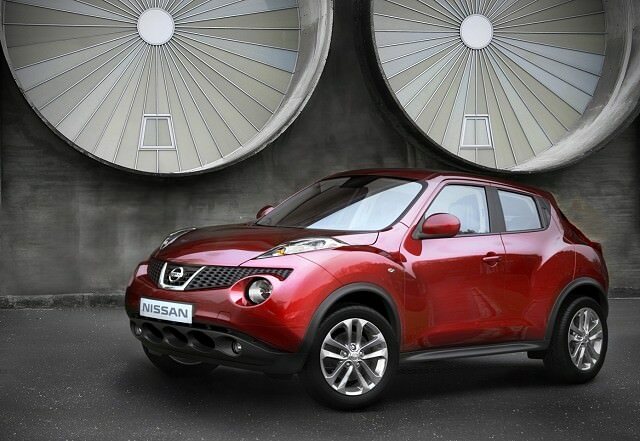 Spun off Nissan's small car platform, there's nothing revolutionary about the Juke apart from the idea itself. Before the Juke arrived on the scene, anything supermini-sized was typically supermini shaped, while the Juke took the crossover idea of the Qashqai and delivered it on a smaller scale. The engine line-up at launch consisted of a 1.5-litre turbodiesel and a choice of 1.6-litre petrol engines, the most powerful of the pair featuring a turbocharger. Front- and four-wheel drive versions are offered, though four-wheel drive is reserved for the more powerful models. There's an automatic gearbox choice too, Nissan's CVT (Continuously Variable Transmission), which is fine if you're not in a hurry, but can be a bit noisy if you are. There's a Dynamic Control System offered too that allows you to fiddle with things like steering and throttle response, but it's all a bit gimmicky and you'll end up never using it. The interior design is apparently inspired by a motorcycle, the console between the seats said to look like a fuel tank and the seat. We're not sure about that, but it's pleasing enough inside, even if it's not quite as spacious as you might imagine. It's old enough now to have undergone some minor revisions, with improved specifications, better economy and improved boot space added in 2014. The Juke is also available in hot-hatch rivalling Nismo spec, which gives it a shot of visual aggression, at a lofty price. There's a 1.2-litre turbo petrol engine in the range now, too. The Nismo model is surprisingly good fun, but the other Jukes make far more sense. We'd be tempted by the 115hp 1.2 turbo if you're after a newer one, but the 1.6-litre petrol manual with 117hp is a decent all-rounder. A different take on the supermini norm, the Juke's a love-it-or-loathe it proposition thanks to its quirky style. It drives decently enough though, and those who do buy it seem to love it.